At the beginning of this year, Sir Jonathan Ive, Apple’s Chief Design Officer, said that the Swiss Watch Industry was doomed. Today, TAG Heuer proved that innovation is still alive and well with the launch of “Carrera Connected”, the “world’s smartest luxury watch” created in collaboration with Intel and Google. Unlike all other smartwatches on the market, Tag Heuer chose to distinguish themselves as the first smartwatch to resemble all physical traits of a finely crafted mechanical timepiece, opening up an entire new chapter to wearable devices. September 30, 2015 Luxury’s Race for Growth: Benefit or Liability? The traditional idea of “luxury”, defined by scarcity and unattainability, has long posed as a business challenge against scalability, and even more so in a digital age. The Luxury Education Foundation’s 11th annual round table broke down these perceptions. “It’s been of a myth in the luxury industry that we don’t want exposure. We just have to be true to our DNA” said Francois Kress, President & CEO of Carolina Herrera. 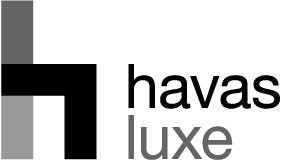 Havas Luxe and Havas Event produced L’Oréal’s Closing Gala Dinner of the 2015 Consumer Goods Forum in New York City. The event took place at Pier 60 and was inspired by the New York Skyline, the energy of the city and its musical talents, with a surprise performance by Aretha Franklin. While popularity may be a dream come true for many brands, it’s often the biggest fear for luxury brands. As the landscape of both luxury and digital continues to evolve, luxury brands now understand that today’s consumer demands a full 360 experience.